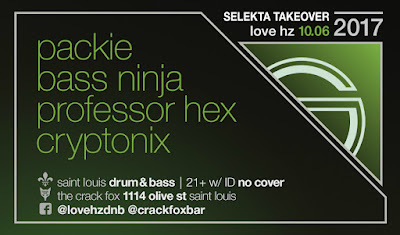 dEEb, makes his St. Louis debut. Support from Wycon B2B K_I_T, Quasar Camp, and Cryptonix. 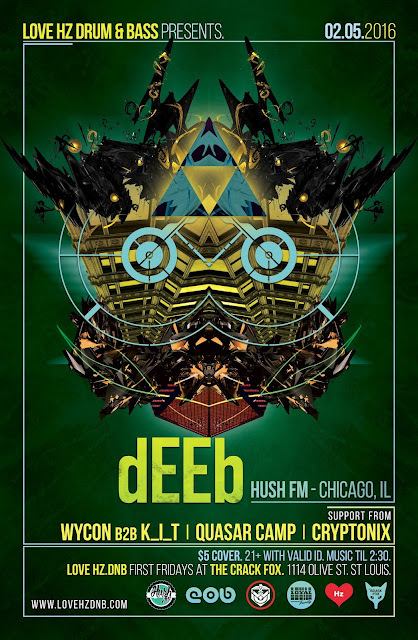 dEEb is a Drum & Bass dignitary of the Midwest. Based out of Chicago, USA; he brings an unmatched individuality to the game, from his diverse taste in all styles of DnB, HipHop and Bass music. This creative flair, attention to sick beats, goosebump giving vocal riffs, coupled with his attention grabbing mic skills makes his presence on the airwaves phenomenal. Hes a well known fixture in the Stateside DnB Massive and always has a fresh take and new style he brings to the table each and every time!